Home > Visit at Otaru City Museum that can blow your mind! Visit at Otaru City Museum that can blow your mind! Would you like to visit at Otaru city museum? It is an excellent place to visit. In this article, I am going to discuss about this museum. It will be worth visit to you. 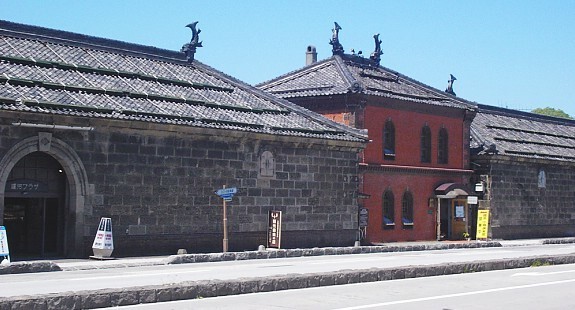 The Otaru City Museum is made up of two separate museums: a conventional history museum beside Otaru Canal and a less centrally located railway museum on the grounds of a railway yard. These city operated museums are a good place to learn about Otaru’s history and the early days of the development of Hokkaido. It is housed in a former warehouse next to the canal. The Canal Building (運河館, Ungakan) is located within the city’s main tourist area. The museum covers broadly the history and nature of Otaru, recounting the times of Hokkaido’s native Ainu people as well as the city’s preservation movement during the 1970s. There are many models and displays, which are explained in an English pamphlet. The Railway Museum (本館, Honkan) is located a bit outside the main tourist area on the former site of the terminal of Hokkaido’s first railway line. It is connected Otaru Port with Sapporo. Multiple full-size trains from various periods are exhibited on a rail yard, while the history of Otaru’s railroads, an essential chapter in the city’s development, is explained with exhibits and dioramas inside a building. The Canal Building is located just beside Otaru Canal. It is a ten-minute walk or a two-minute bus ride straight down the main road from Otaru Station. The Railway Museum is a further 15-20-minute walk westwards. But can also be accessed by taking the Otaru Stroller’s tourist bus from either the canal or the station (departures about every 30 minutes, 220 yen). So, guys, try to enjoy at beautiful Otaru City Museum as I have told you above. You will be amazed trying the beautiful Otaru City Museum. And I think you cannot ignore these amazing exploring Japan in a different way, guys. Your day is going to be excellent. Are not you feeling excited? If you want to explore Japan, you must try to enjoy Otaru City Museum. And I know you will be grateful to me because of suggesting this information. Happy journey, guys!! Have a good day!! And stay safe, guys! !